I was given the opportunity to write about a Disney magical moment I experienced sometime in my life for the lovely Ariel, owner of Disney Blue Fairy Shares Blog. I felt like just in case any of you were not following her (which you should! ), I would share my Disney magical moment with you! I’ve been to the Disney parks quite a few times, but a trip that stood out as extra magical was when I was able to go to Disney land with my best friend for her first time as a graduation present. It was our first big trip without our parents, and it was her first Disney experience. It was so much fun introducing her to the parks for the first time, seeing her expression and awe about how detailed and elaborate everything was in comparison to other theme parks. I have to admit I was a little jealous that she was experiencing everything for the first time. That is definitely a special moment that no one can ever forget (unless you were super little). I’ve been to Disney World and on a Disney Cruise once, while I’ve been to Disneyland numerous times since I’m from California and it’s much closer. I thought I had seen it all. That is, until I saw the World of Color. The World of Color changed my life. Seriously. I had originally planned on majoring in psychology in college, but my visit to Disneyland started to really make the wheels in my mind turn. 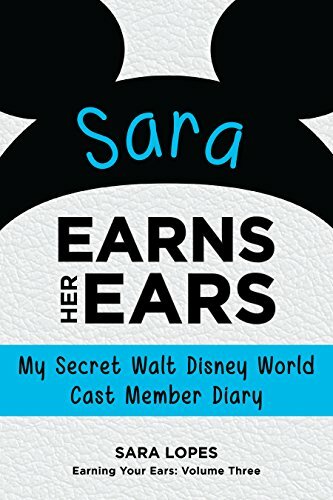 I had this feeling deep down that I needed to do something with my life that involved Disney, but I wasn’t sure how or if it was the right choice. When I saw World of Color, all of that changed. It was so brilliant, so beautiful and amazing; I knew I had to be a part of this magic. Seeing hundreds of people in awe watching this show that reminded me of the beauty of all the Disney movies, nothing can compare to that kind of magic. Here's a video of the full show! Of course, it's more amazing in person. 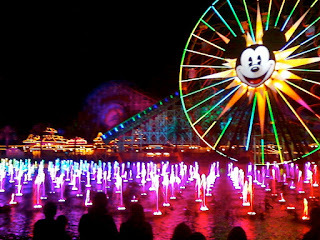 But if you haven't seen the World of Color, this is a perfect example to the show's brilliance! (When I saw it, I was in the very front!!!) Gosh I get chills whenever I watch this. Especially during the Pirates part. The flames were so hot!! I also nearly started crying by the end..that song called "So Close" by Jon McLaughlin is the song I want to be played at my wedding. I love it so much. PS..I just found out that yesterday was the 2nd anniversary of the World of Color! What a coincidence! I absolutely love this post. Disney productions and attractions can't help but be moving since so much talent and love are apparently poured into shows like World of Color. Thanks so much for sharing how it's magic has changed your life! !